New year, new you! Whether you've resolved to don a bold lip more often or to try that cat eyeliner look you're always salivating over in magazines, now is the time to take some risks in your beauty routine. But first, are you prepping your skin properly for make-up application? Not sure? No need to worry. We've got the make-up artist approved tips to ensure that flawless finish. Learning how to apply make-up - and which looks suit you best - is no small feat. It can take years! But that's only half the battle. Before you line your eyes and blush your cheeks, you need to create the perfect canvas. We spoke to hairstylist and make-up artist Holly Daigle to find out her insider secrets for prepping skin for make-up. Here are her tips! Bet you didn't see this one coming first! Neither did we, but it makes sense. Prepping your skin for make-up is kind of wasted if your brushes are dirty, right? "Clean make-up brushes are super important," Holly says. "I use clarifying shampoo mixed with water to clean my brushes." Try to clean your make-up brushes once a week. If that seems like too much (we get it) then aim for once every two weeks, minimum. 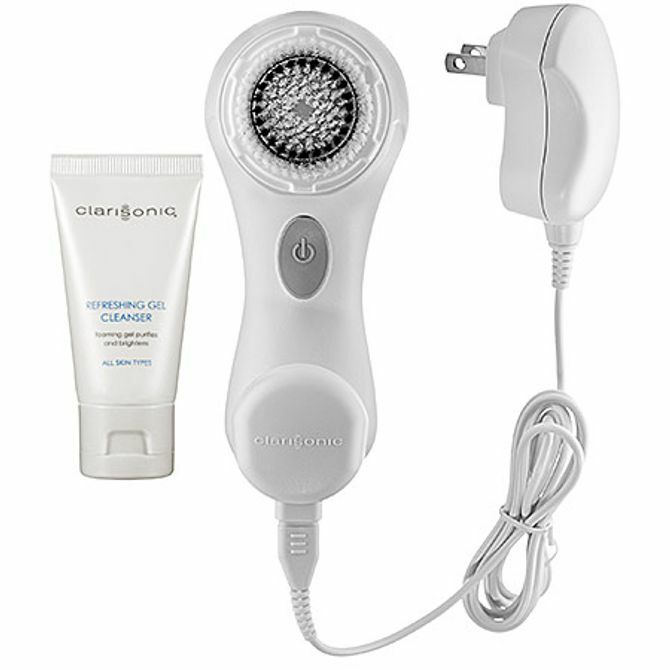 "The Clarisonic Skin Cleaning System is fabulous because it gently exfoliates," Holly says. "If you're on a budget, the Olay ProX Advanced Cleansing System is what I use." Even if you don't use a facial brush, make sure you're (gently!) exfoliating your skin on a regular basis. Kate Somerville ExfoliKate Intensive Exfoliating Treatment is a great option. Aim to exfoliate two to three times a week, you don't need to do this every day as you can over-stimulate your skin. Exfoliation leaves your skin smoother - giving you a better base for your make-up. Moisturising pre make-up is key. No matter what moisturiser you use, make sure those three magical letters are on the bottle. "SPF is huge. The skin on your face is so sensitive and always exposed to light, so you want to make sure that you have that on 24/7." "It's super important to take care of the skin underneath your eyes, because it's so thin." Holly recommends applying any under eye products with your ring finger, because it has the gentlest touch. Apply products from the outside in. 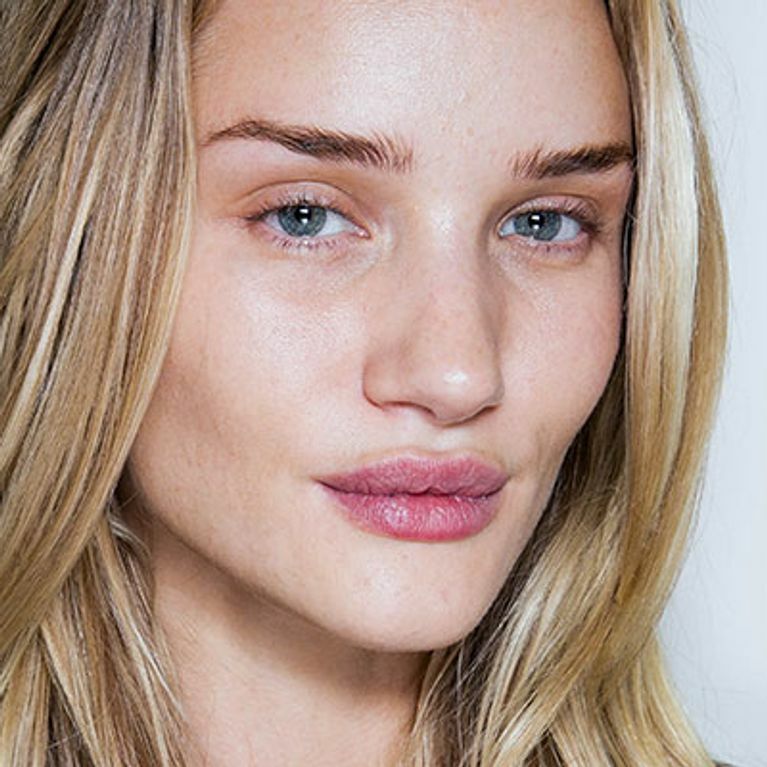 "After you exfoliate, moisturise, and take care of your under eye skin, you'll want to prime your face," Holly says. "I cannot live without Smashbox Photo Finish Foundation Primer." The nice thing about Smashbox is that they have an extensive line of primers. If you need a hydrating or oil-free formula, or if you're looking to colour-correct, you can probably find it in their line. "I've been using Urban Decay Primer Potion for years. It makes your eye make-up last all day. I've never found anything else that works as well as this." Using eye primer is key for eliminating eyeshadow creasing. This will especially pay off if you're doing a smoky eye! So that's all it takes. It sounds like a lot of steps to get your skin ready for a perfect make-up application but it'll definitely be worth it. And once you're pleased with your make-up, Holly has one last product tip to make sure your make-up doesn't budge. "Urban Decay makes a setting spray called All Nighter. It really guarantees that your make-up will stay put all day,"
This is one of those products that you probably won't need to use every day, but it's definitely worth the investment for big events and nights out on the town! How do you prep your skin for make-up? Tweet us @sofeminineUK!